Bullona is one of the latest exclusive restaurants in Milan. 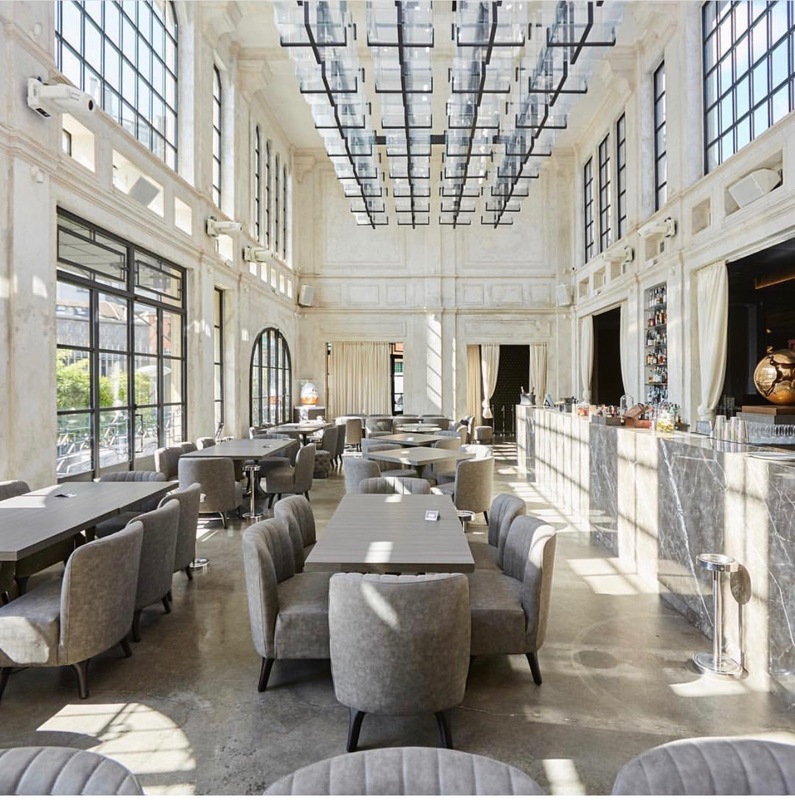 Designed by Umberto Cairoli, this place has been transformed from an old train station into a beautiful location with a sophisticated interior design, high soffits, marble and luxury materials all around. La Bullona is a place with not random people, best DJ music and exquisite cuisine. Bullona should be booked well in advance – in a week, but it really worths of waiting. Ben DJ is a frequent guest known for best music in town, light deep house during your dinner will change into dancing rhythms after certain hour. And voila, the atmosphere of fine dining transforms into Gatsby style party. Menu consists of fish with some sophistications: black caviar, different types of tartars, oysters, seafood pasta and excellent Vine list. This entry was posted in Lifestyle Milan, Restaurants in Milan and tagged bullona, food, goodlife, luxury, luxury living, milan, restaurant.